A) ApplicationForm:Filled the form and signed with the director’s signature. Submit in bothWord and PDF. B) Exhibition Scheme(include exhibitor’s introduction): Filled the form and signed with the director’s signature. Submit in both Word and PDF. Booth space for the fair will be allocated by the Executive Committee. The Executive Committee allocates the space according to exhibitors’ categories. 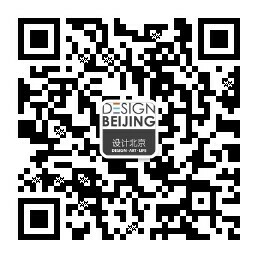 Booth design has to obey National Agriculture Exhibition Centre’s safety rules and in accordance with Design Beijing’s image. The Executive Committee reserves the right to prohibit improper and unmatched designs. Every single exhibitor is free to publish brand information and images. Catalogue designed by theExecutive Committee. A) If the exhibitor withdraws from the fair before 25 January,2019, there will be no administration charge. The remaining 100% of the payment will be refunded. B) If the exhibitor withdraws from the fair before 13 February,2019, the remaining 50% of the payment will be refunded and 50% administration fee will be charged. C) If the exhibitor withdraws from the fair before 1 March,2019, no refund will be given. The ExecutiveCommittee will promote the fair information through all kinds of media and arrange interviews and reports during the fair.